Green Bay Packers coach Mike McCarthy said he had not yet completed a full evaluation of his assistant coaches, but he did announce one change to his coaching staff for 2017. Associate head coach/offense, Tom Clements, won’t be returning for a 12th season. 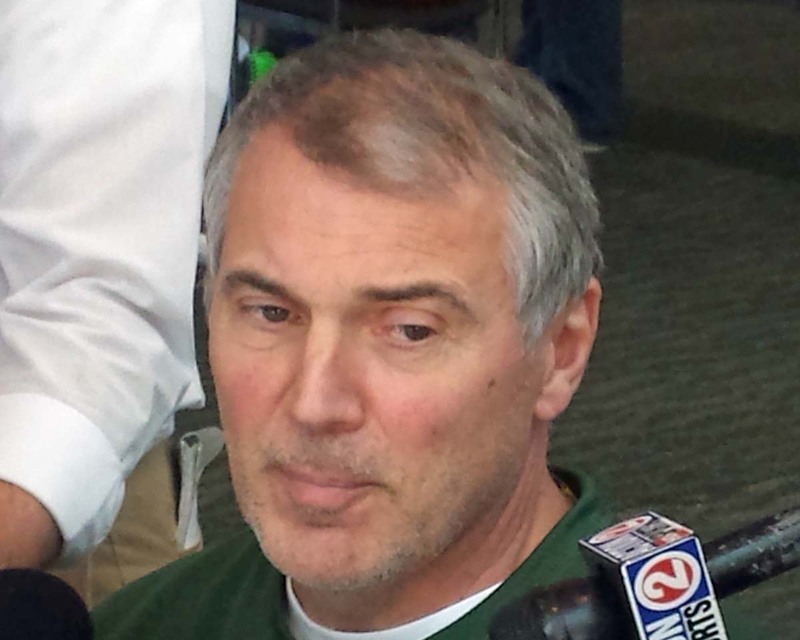 “Tom Clements is going to move on to some other interests,” McCarthy said on Thursday during his season ending press conference at Lambeau Field. Clements started with the Packers as the teams quarterbacks coach from 2006-’11. He was promoted to offensive coordinator in 2012 before being elevated to his recent title in 2015. 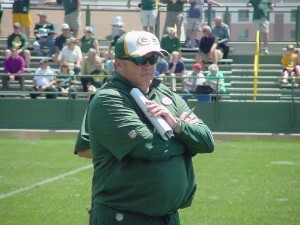 Clements called the plays for a portion of the 2014 season before McCarthy relieved him of those duties. McCarthy resumed play calling and has done so ever since. 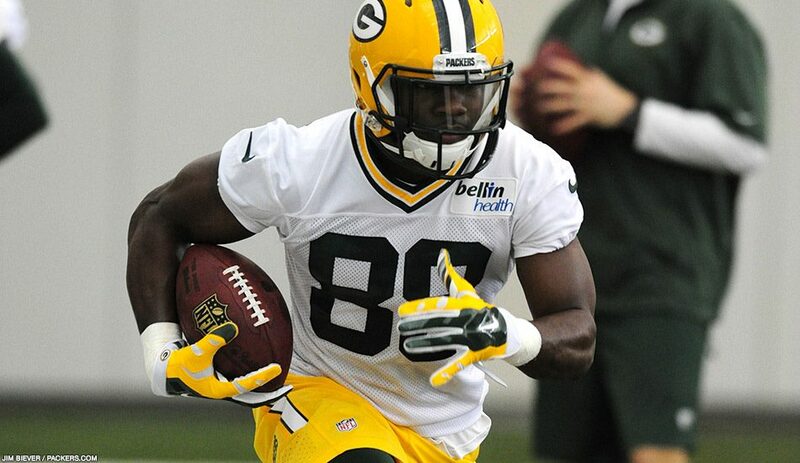 Green Bay Packers rookie wide receiver Ty Montgomery worked Wednesday but stood on the sidelines on Thursday as the Packers prepared for Sunday’s game against the Raiders in Oakland. Montomery appears to have re-aggravated his high ankle sprain with the recovery now at two months and growing with his chances of playing Sunday up in the air. Green Bay Packers coach Mike McCarthy handed over the play-calling duties to Associated head coach/offense Tom Clements back in February. The offense came out of the gates clicking, only to hit the skids for the last six to eight games. 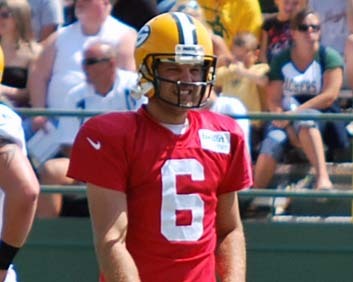 McCarthy waited as long as he could for the offense to get things together. That wait ended early in the week before the Dallas game when the coach met with his assistant and told him he was making the switch. The Green Bay Packers offensive issues continued during a third straight loss, 18-16 to the Detroit Lions on Sunday. Mike McCarthy not only didn’t step in to take over a more active role in the play-calling, he said after the game that Tom Clements will continue in that role in the future. McCarthy was asked after the game if he was planning to make a change. McCarthy said looking at the time and energy that’s put into the process of preparing for each and every game in the season. He said he likes the way the staff works and the way they work with the players. McCarthy gave up the play-calling duties after last seasons loss to Seattle in the N-F-C Championship Game, looking to get more involved with the team’s defense and special teams as well. 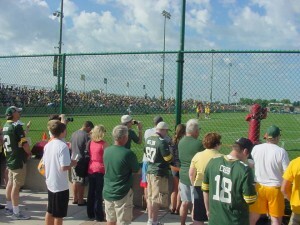 Packer fans watching today’s OTA workout! The Green Bay Packers opened OTA workouts on Wednesday and hold their first open to the public and media workout today at 11:30. While the Packers have their entire starting offense back, they will have some new looks on defense and special teams. The Packers will have at least one new starter at defensive back this season, replacing last years starter Tramon Williams. After the Green Bay Packers overtime loss to Seattle in the NFC Championship Game, Mike McCarthy has been pouring over his game-day operation, something he does every year. After the loss to the Seahawks, McCarthy has had much more to consider in terms of whether or not he continues to call plays moving forward. Several things happened in the game that McCarthy claimed afterwards he wasn’t aware of because he had to stay focussed on his play-calling duties. 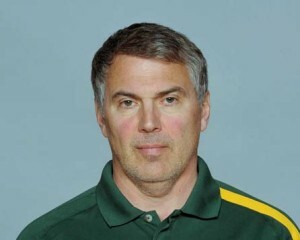 the Packers promoted Clements from quarterbacks coach to offensive coordinator. But the Packers won’t be able to deny the Bears or any other team that wants to talk with Clements about a head coaching position, which is an NFL rule. The Chicago Tribune reported that the Bears had planned to contact the Packers about interviewing Clements. The Milwaukee Journal Sentinel cited a source that says Clements is among five coaches who will be interviewed by the Bears. It’s not known when that interview would take place. Green Bay Packers offensive lineman Don Barclay is preparing for his first career start at right tackle, replacing T.J. Lang this Sunday against the Lions. 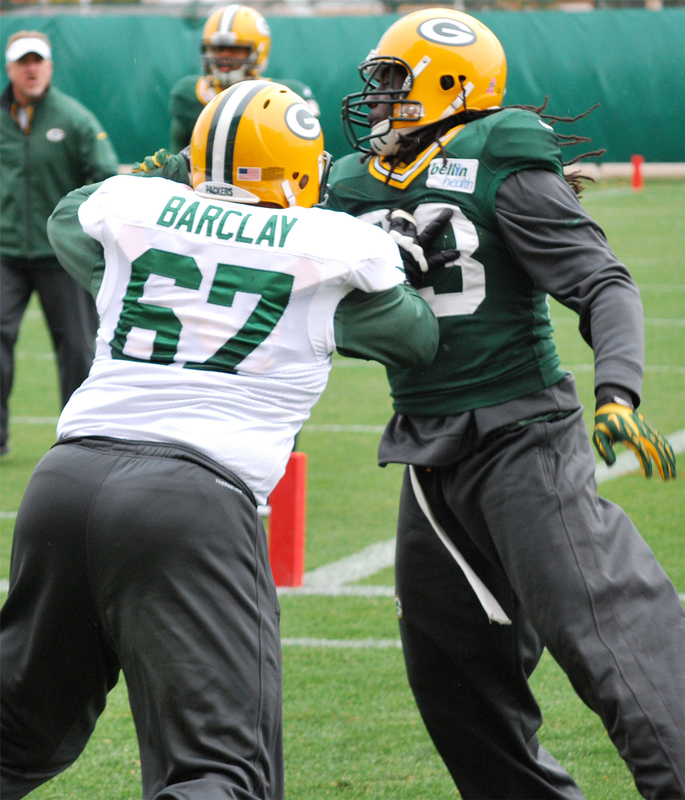 Barclay entered last Sunday’s game against Minnesota in the second quarter after Lang left with an ankle injury. Barclay was encouraged by his performance, and he should be. Barclay performed so well that Mike McCarthy didn’t change his play calls when he entered the game. Barclay, and the rest of the offensive line, take on a Lions defense ranked 19th in rushing defense. They allow an average of 119.4 yards per game. Packer’s offensive coordinator Tom Clements says Barclay’s performance against the Vikings was, “a credit to him,” when asked about Barclay’s lack of experience. With his expected first start, Barclay has an opportunity to solidify a starting spot for the Packers at right tackle. If Barclay impresses, this could open the door for T.J. Lang to move back to his preferred spot at left guard, and help stabilize the ever-changing offensive line. The Packers look to continue their dominance over the Lions on Sunday night. The last Detroit victory at Lambeau Field came Dec. 15, 1991.
backup Graham Harrell come in and win a game? That’s one of the burning questions that keeps popping up in Green Bay as the Packers get ready to play preseason game #3 on Thursday night at Cincinnati. In two games, Harrell has completed just over 50% of his passes (52.9%), converting 27 of 51 attempts. He’s thrown for 1 touchdown and 2 interceptions.